I would like to welcome you to the Lawrence County Treasurer’s Department Page. Because I firmly believe that your County Treasurer’s office should be operated like the business it is, currently and going forward you will see and hear about my staff and I implementing new programs and procedures that will enhance and create a more efficient environment which will enable us to deliver superior customer service directly to you. Although the office of County Treasurer may be familiar to most county residents, to better serve you I feel it is important that you understand exactly what the Treasurer’s duties are. 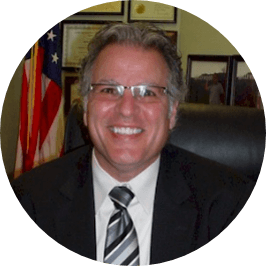 The county treasurer is a four year elected position and is the chief tax collector for the county assessed real estate tax. Approximately $22M representing approximately 52,000 parcels is collected through my office. This real estate tax is the main source of revenue for county government. One of the innovative programs which I created when I was elected in 2008 was the County Tax Outreach Program. I personally visit twenty three districts throughout the county permitting tax payers to satisfy their county taxes in their own communities. Through this program I felt I could give back to the taxpayers by helping them economically by traveling around the county. This marked a milestone of innovation in tax collecting as the program has grown from its pioneer year of collecting approximately $11,000 to collecting approximately $695,000 in tax year 2018. The treasurer’s office also serves as an Agent to the Commonwealth of Pennsylvania issuing dog, fishing, hunting and doe licenses. The treasurer’s office also issues bingo and small games of chance licenses and is responsible for the collection of the 5% Hotel tax as well. Our office is also responsible for reconciling of the counties bank accounts. During my tenure a program was created to accommodate those who serve jury duty that the checks that are issued to them by the courts can be cashed here at the treasurer’s office when their duty is complete. This is a time saving course for the responsible citizens of Lawrence County performing their civic duty. Another very important function of your county treasurer is to serve on the County Employees Retirement Board with the County Commissioners and County Controller. The purpose of this retirement board is to invest member contributions in a fiscally prudent manner so when employees retire they will have a steady source of income. So as you can see, your county treasurer’s office is quite multi functional. Abiding by the PA’s 5th class county code, Purdon’s Pennsylvania Statues of Taxation and Fiscal Affairs and the Oath of Office that I have been sworn to rest assured your county treasurer’s office is honorable, ethical and accountable in every facet of responsibility. In closing, I am very proud to offer you an extremely professional, dedicated and experienced team; I have put in place to help me manage the financial and departmental affairs of the county treasurer’s office. I welcome you to meet my staff while you’re visiting our web site. In closing as your elected County Treasurer, my goal is to continue to provide you with excellent customer service and a friendly and professional place to do business with! We take pride in our commitment to you and welcome your comments and suggestions as well. Please know that my door is always open to help you in any way the county treasurer’s office may ,and I would cordially like to invite you to visit me here in the county treasurer’s office at the Lawrence County Government Center, I look forward to meeting YOU! Please always know that you have in place a county treasurer’s team that is working for you. How do I find the Treasurer’s Office in the Government Center?